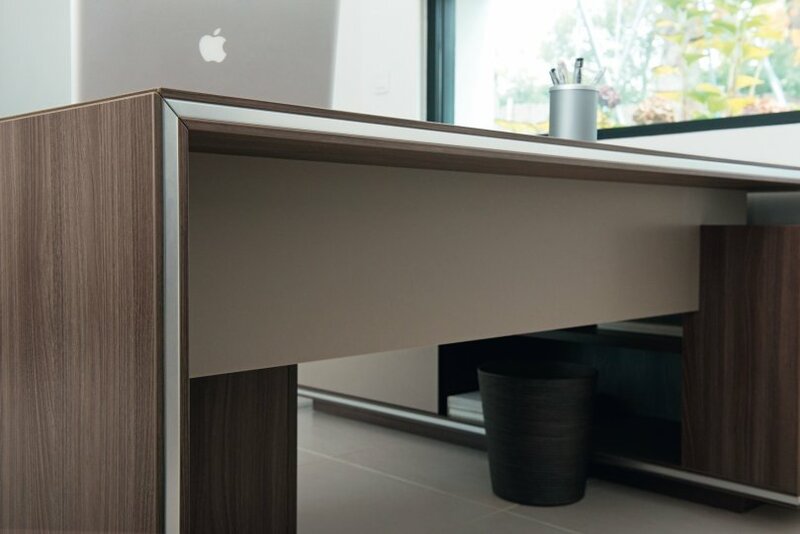 Contemporary executive furniture in Smoked Walnut with contrasting Sapele accents on the modesty panels, doors and drawer fronts. Includes a designer bookcase with feature sloping Sapele upright. Manufactured in France this range is available for delivery in 15 -20 working days and comes with a five year factory guarantee.